When you don’t pay a medical bill right away, it can be surprising how quickly it gets turned over to a collection agency — sometimes in as little as 30 days. Once a medical bill gets turned over to a collection agency, it used to be that you could end up with a cloud on your credit report that might remain there for as long as seven years. But what if you didn’t pay a medical bill right away because you were in a dispute with your insurance company over how much of the bill was your responsibility? Or what if your insurance company was just slow to pay your health care provider? Medical bills that get tangled up in red tape don’t necessarily reflect your creditworthiness, and shouldn’t count as late payments that ding your credit score. That’s the thinking behind new procedures the nation’s credit bureaus are adopting to give consumers breathing room to clear up medical billing disputes before they harm their credit. Starting on Sept. 15, Experian, Equifax and TransUnion will wait 180 days before making information they receive about unpaid medical bills available on your credit report. The credit bureaus will also remove any medical debts from your credit report if they end up being paid by your insurance company. The new procedures come in the wake of a 2014 study by the Consumer Financial Protection Bureau and settlements the credit bureaus entered into the following year with attorneys general in New York, Ohio, and 30 other states. In its report, the Consumer Financial Protection Bureau found that 43 million Americans had unpaid medical debt on their credit reports, with the average reported medical debt totaling $579. Thanks to confusing medical billing practices, consumers don’t always know how much debt they’re responsible for, the report said. 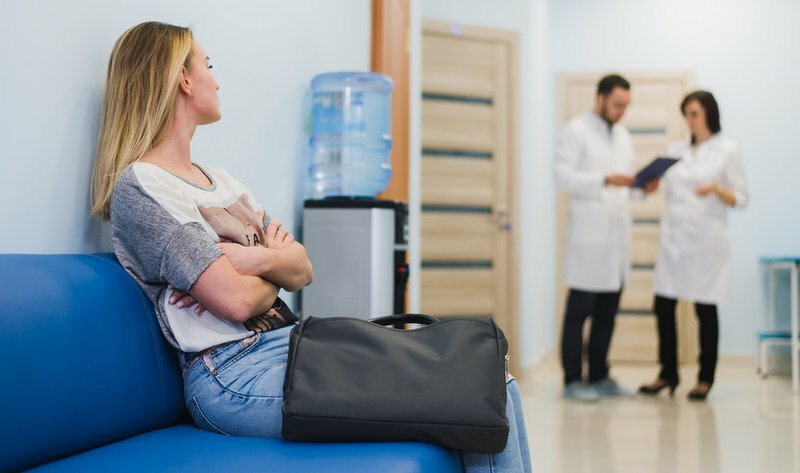 A single trip to the doctor may generate multiple bills, and out-of-pocket costs can vary depending on the consumer’s coverage. The report also noted the “haphazard system” in place for reporting overdue medical bills. Some health care providers will turn unpaid bills over to collections agencies in as quickly as 30 days, the bureau noted, while others may wait as long as six months. Once a bill has gone to a collection agency, it’s not uncommon for the agency to report it as delinquent before even contacting the consumer — despite the damage that it can do to their credit score. “Getting medical care should not make your credit report sick,” CFPB Director Richard Cordray said in announcing the report’s findings. The settlements announced with state attorneys general the following year gave credit bureaus up to three years to comply with many of the more complex provisions, which is why some measures are only taking effect now. Another provision of the settlement requires credit bureaus to employ trained employees to review documentation consumers submit when challenging inaccuracies in their credit files that are the result of fraud, identity theft or a “mixed file” — when the credit information of one consumer is “mixed” into the file of another consumer with a similar name or other identifying information. “This agreement addresses some of the most egregious problems in credit reporting that consumer advocates have complained about for many years,” said Chi Chi Wu, National Consumer Law Center staff attorney, when the settlement with New York Attorney General Eric Schneiderman was announced in March, 2015. Ohio Attorney General Mike DeWine and 30 other state attorneys general announced a similar settlement two months later that’s being implemented nationwide by credit bureaus. Only debts arising from a contract or agreement will appear on your credit report. In other words, if you owe money because you haven’t paid a traffic or parking tickets, that should not show up on your credit report. If you’ve got an unpaid debt that’s been turned over to a collection agency or sold to a third party, debt collectors are required to include information about who you originally owed when reporting that debt to credit bureaus. You’re entitled to request a free credit report from AnnualCreditReport.com every 12 months, from each of the three major credit bureaus — Equifax, Experian and TransUnion (a good precaution for those who think they might be victims of fraud, the Consumer Financial Protection Bureau advises). Now, if you request your free annual credit report from a credit bureau and successfully dispute information they’ve included on your report, you’ll be able to obtain another free credit report without waiting 12 more months.